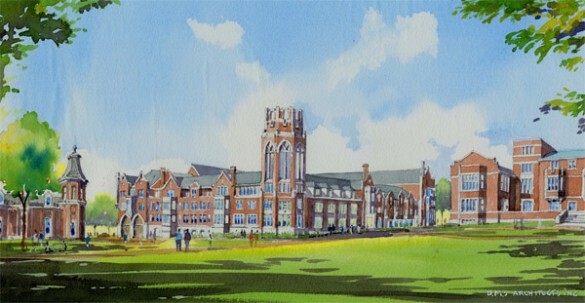 The search for a faculty director of E. Bronson Ingram College is now underway, in preparation for the new residential college’s fall 2018 opening at the site of the former Vanderbilt and Barnard Halls. In addition, future residential faculty openings are anticipated at The Martha Rivers Ingram Commons. Vice Provost for Learning and Residential Affairs Cynthia Cyrus issued a call for residential faculty applicants earlier this year. Applications submitted throughout the year have been maintained and will be considered for the E. Bronson Ingram College faculty director position. A committee will begin reviewing applicants for this inaugural role in November. Cyrus will host an informational open house about residential and programmatic faculty roles on Wednesday, Sept. 20, from 4 to 5:30 p.m. at the Dean’s Residence of The Ingram Commons. The event will offer faculty the opportunity to hear an overview of the roles and responsibilities of residential faculty in addition to personal experiences from current faculty members serving in this capacity. Representatives from the Office of the Dean of Students, the Office of the Dean of The Ingram Commons, and the Office of Housing and Residential Education also will be present at the open house to offer their perspectives and answer questions. Any faculty member who is interested in the E. Bronson Ingram College faculty director position is welcome and encouraged to attend. Additional applicants interested in residential faculty roles should send the materials listed below to Cyrus at vpcyrus@vanderbilt.edu. Residential faculty contract terms typically outline a two-year appointment with a July 1 effective date and include housing and meal plans. 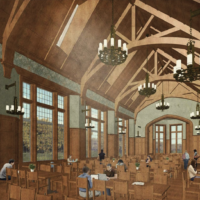 E. Bronson Ingram College represents an expansion of the College Halls program—a key pillar of the Academic Strategic Plan representing vibrant living-learning communities that create transformative educational experiences for Vanderbilt students. The appointment of the new E. Bronson Ingram College faculty director is expected to be made in early 2018.